While in Paris on business, Harvard symbologist Robert Langdon receives an urgent late-night phone call: the elderly curator of the Louvre has been murdered inside the museum. Near the body, police have found a baffling cipher. 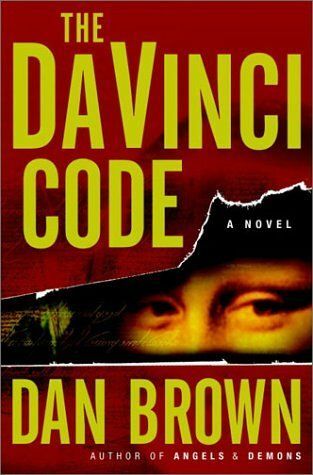 While working to solve the enigmatic riddle, Langdon is stunned to discover it leads to a trail of clues hidden in the works of Da Vinci -- clues visible for all to see -- yet ingeniously disguised by the painter. Langdon joins forces with a gifted French cryptologist, Sophie Neveu, and learns the late curator was involved in the Priory of Sion -- an actual secret society whose members included Sir Isaac Newton, Botticelli, Victor Hugo, and Da Vinci, among others. In a breathless race through Paris, London, and beyond, Langdon and Neveu match wits with a faceless powerbroker who seems to anticipate their every move. Unless Langdon and Neveu can decipher the labyrinthine puzzle in time, the Priory's ancient secret -- and an explosive historical truth -- will be lost forever. 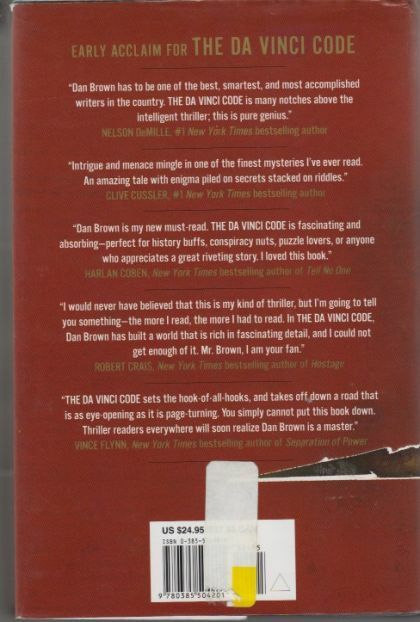 THE DA VINCI CODE heralds the arrival of a new breed of lightning-paced, intelligent thriller…utterly unpredictable right up to its stunning conclusion.